I am keeping my promise. 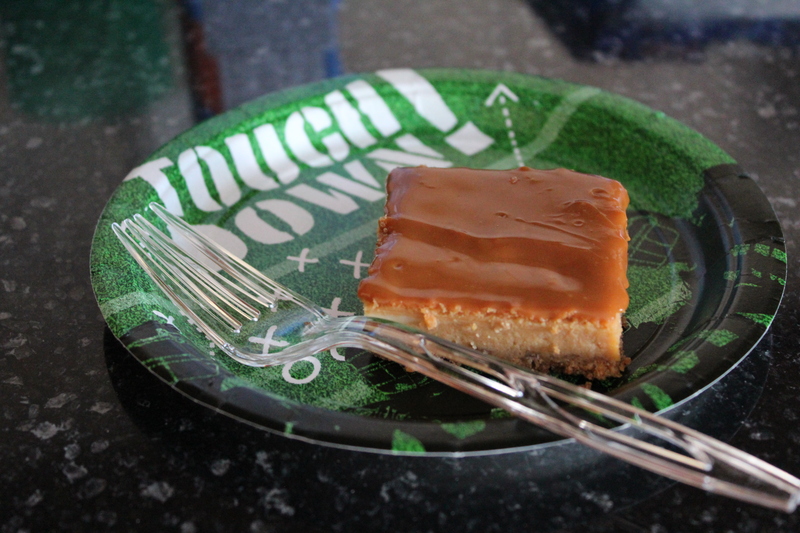 Here is the recipe for the caramel cheesecake bars. Try them for Valentine’s Day or I’m Sick of Snow Day. Either way, it will cheer you and your loved ones up. Preheat oven to 350 degrees. Grease a 9×13 pan with non-stick cooking spray. Combine graham cracker crumbs and sugar in a medium bowl. Pour melted butter over mixture and combine until all ingredients are incorporated. Evenly spread mixture into baking pan. I used my stainless steel measuring cup sprayed with non-stick cooking spray to press the crumb mixture into the bottom of the pan. Bake for 10 minutes or until golden brown. Allow to cool while you make the filling. In a medium bowl beat together the cream cheese and sugar until fluffy. Add eggs one at a time until thoroughly mixed. Add vanilla and dulce de leche. Very carefully spread your filling mixture over the crust. This part can be a little tricky because the crumbs can shift a bit, but use a large spoon to slowly even out the filling all the way to the edges of your pan. If some of the crumbs move around that’s okay because the filling will get puffy as it bakes so no one will be the wiser. Bake the cheesecake for 35 minutes or until the edges begin to brown and crack a little. Allow cheesecake to cool completely before adding the topping. 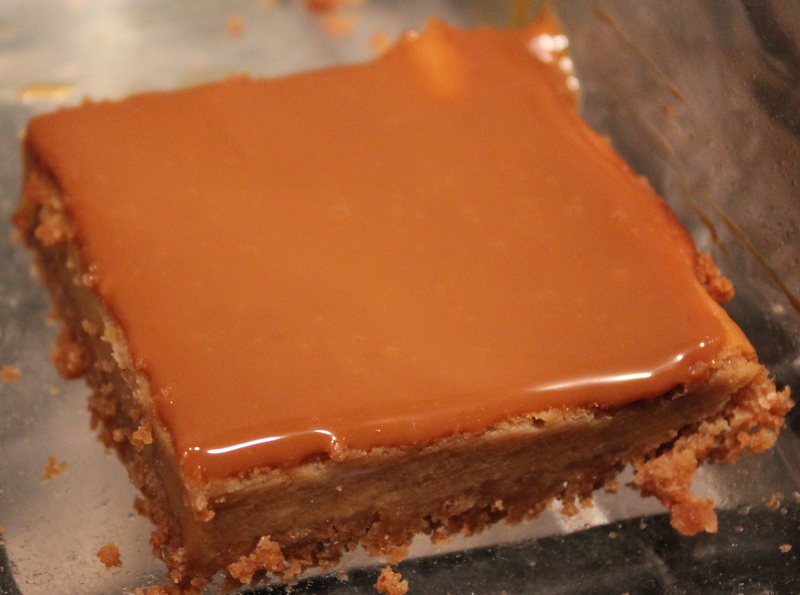 For the topping, combine dulce de leche, heavy cream and caramel sauce into a microwave safe bowl. Microwave in 10 second increments stirring in between cooking times to combine ingredients together. Altogether, I did this process 3 times for a total of 30 seconds. Pour the topping over cooled cheesecake using a spoon to spread sauce all around the top and to the edges. Cover pan with plastic wrap and refrigerate for at least two hours to overnight to allow caramel to set. When you are ready to serve, cut into squares and sprinkle with flaked salt.